Have an exciting family camping trip with the Giga Tent Wildcat Mt. 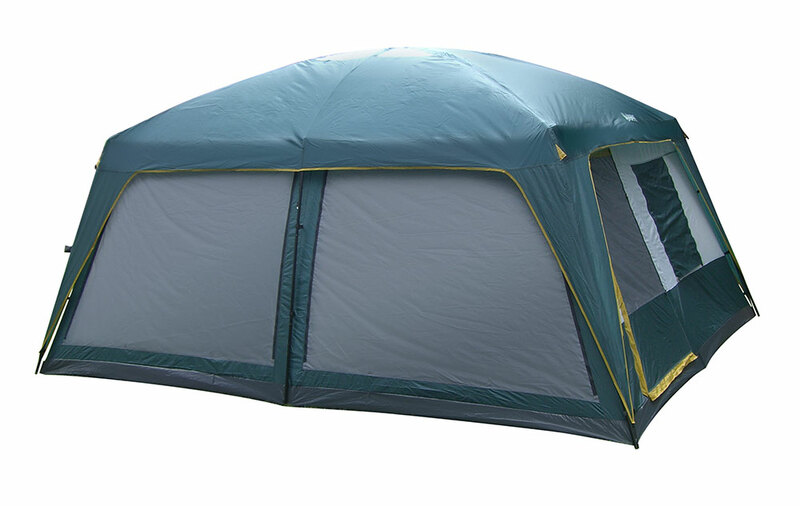 12′ x 15′ Family Cabin Tent. 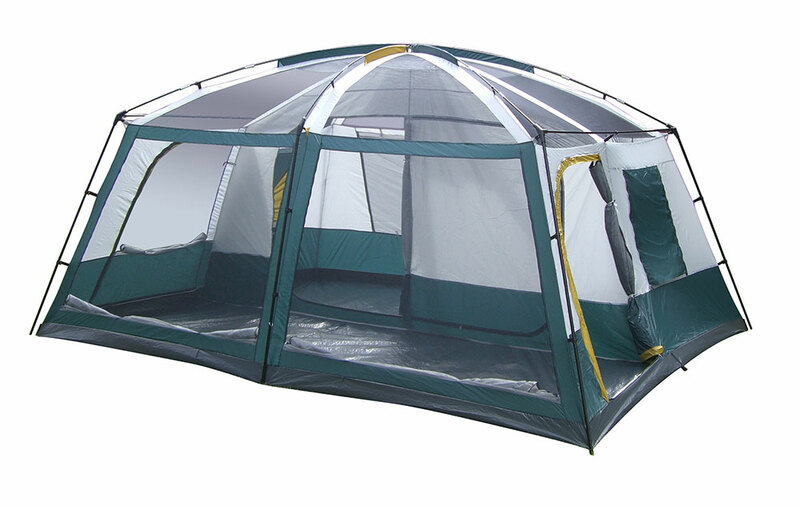 This large free standing 3 room tent with is almost vertical walls has an amazing amount of living space inside. The front Combo Room has 2 large closeable windows and can be used as a floored screen room or sleeping space. The Combo Room is separated from the rear room by a sewn in divider with 2 large D shaped doors. 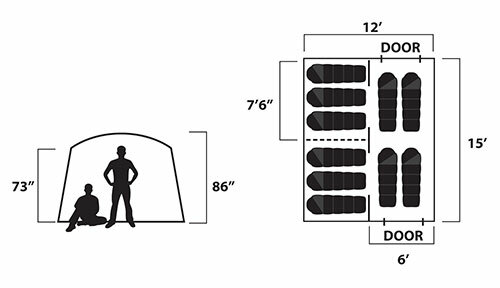 The rear room can be divided into two 7’6″x 6′ rooms using a removable curtain. There are 2 cantilevered windows in the side walls of the rear room as well as 2 large windows in the rear wall. 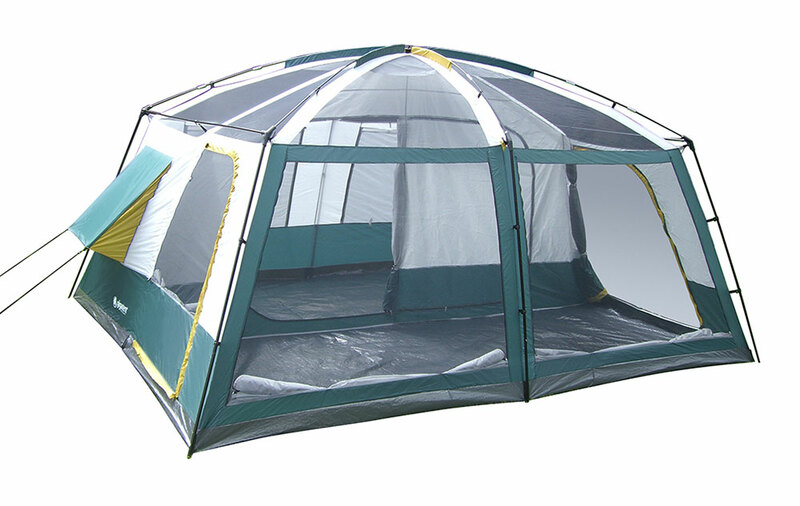 The rain fly has 4 large clear panels to allow light into the tent and keep things cheery. The large windows combined with the mesh roof prevent condensation build-up and a bathtub floor means no ground level seams to leak. 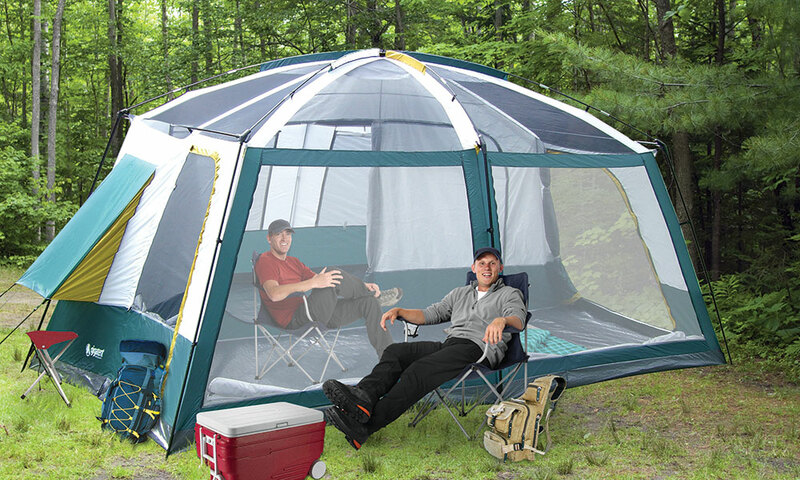 This amazing camping instant cabin tent makes you feel as if you’re in the comfort of your own home. It features poles that are pre-attached to the tent- just unpack, unfold, lift legs into position and extend legs until they click into place. Remove the water-repellent rainfly to expose the mesh ceiling for panoramic views for stargazing on clear summer nights. Also, the advanced venting system uses the adjustable air intake vent designed to draw in cool air from the ground while the mesh ceiling allows hot air to escape keeping you comfortable all season. 15' 0" x 12' 0"